Please meet Jolly Jet! 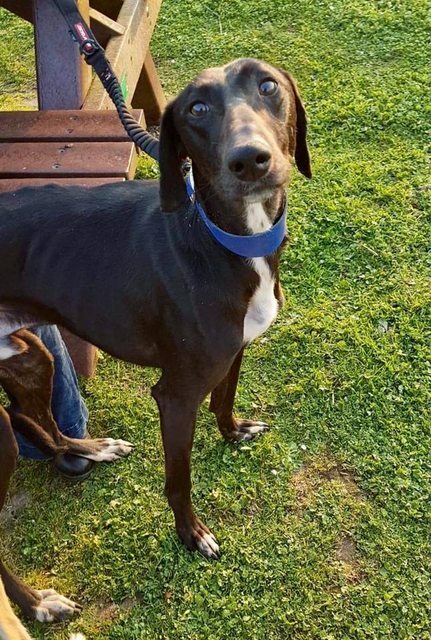 Jet is a gorgeous Lurcher of approx 2 years old, he came to us after he was left abandoned in the pound, very underweight! he is stunning both inside and out, I absolutely adore him!! We think he is most likely a Saluki mix, he is tall but slight, a stunning boy, even is he is daft as a brush!! For Jet, sofa is life!! 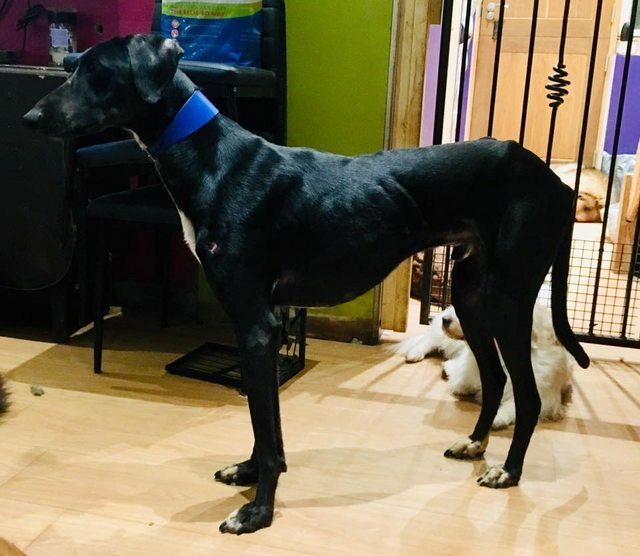 Jet is a really laid back easy going dog, has perfect manners and has lived with rabbits and Guinea pigs and parrots that constantly taunt him and he doesn’t take any notice so doesn’t appear to have high prey drive! 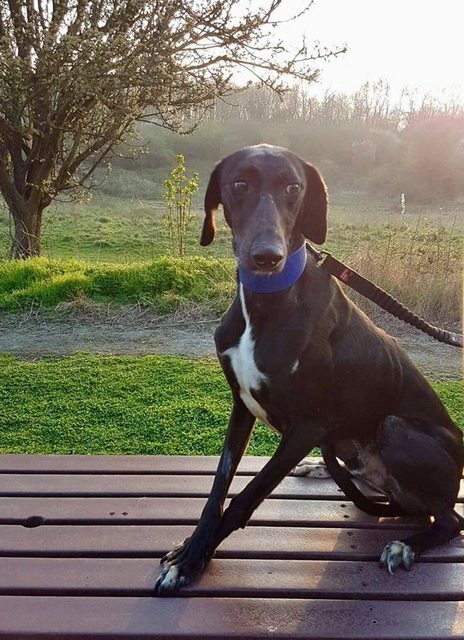 Jet is a real couch potato of a dog, he is very quiet and obedient, he would love a family to play with him and keep him occupied, he loves a walk and loves to greet everyone he meets! 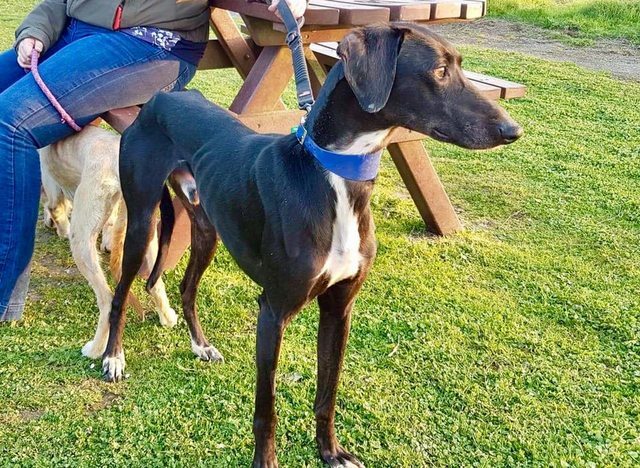 Jet is impeccably well behaved, he is house trained and non destructive – happy to be left snoozing on the sofa by himself, absolutely adores other dogs so could happily live with a companion. Jet walks fantastically on the lead and matches your pace perfectly, he really is an absolute joy to have here! Jet is a gorgeous happy, active lad that so desperately needs a forever home and family to grow up with. Jet is neutered,microchipped de flead and wormed.